The best thing about Android is how customizable it is. Not everyone likes the default actions assigned to certain buttons or button combinations, and one of the most common complaints is with the home button on the older Samsung Galaxy devices. It is possible to make the home button do what you want, rather than what the manufacturer decided, using the following workaround. Samsung, along with many other manufacturers, is leaving the home button by the wayside as the ever-increasing displays gobble up more and more of the smartphone's front panel. The stylish Samsung Galaxy S8 was the first flagship from the Korean company to ditch it, and now even lower-range devices in the A-series follow suit. Nonetheless, the physical home button still has its fans, and we'll show you how to get the most out of it. For demonstration purposes, we're using a Samsung Galaxy S7 on Android Nougat, although it should work on most phones that have a physical home button. By default, a double-tap of the S7 home button takes you to the camera shortcut but, for the purposes of this tutorial, we want to make it launch the Play Store instead. On older Galaxy devices, a single tap of the physical home button will bring you to your home screen, a double-tap launches S Voice, and long-press launch Google Now with a long press. First, you’ll need a specialized app from the Google Play Store, so download and install it on your device. There are several apps that provide the same functionality, but for this example, we’re using Button Mapper: Remap your keys. When you fire up Button Mapper, it will first advise you to authorize the app in your Settings. Button Mapper will be able to see which app is currently on your screen. While this isn't unusual for an app with these capabilities, just be warned. We recommend you look up the developer of these apps to check for legitimacy. After authorization, we'll be able to reprogram the physical Home and Volume buttons for different actions (additional options require a paid version). In this example, we’ll customize what happens with a double-tap. Remapping a button is a four-step process. First, select the Home Button to see a menu of customization options. Select Double Tap. Next, choose whether you want to map the double tap to an action, application or shortcut. We chose Applications in this example. Then we're presented with a list of applications. Select Play Store and voila! Double tapping the Home Button now opens leads to Google's market of apps and games. If you ever want to go back to how it was before, you can clear your app defaults in Settings. We actually think that the way the S7 launches the camera from a double-tap of the home button is a really useful feature, so If you have an older Galaxy device, you can use Button Mapper to make the double-press a camera shortcut rather than an S Voice shortcut. Happy customizing! 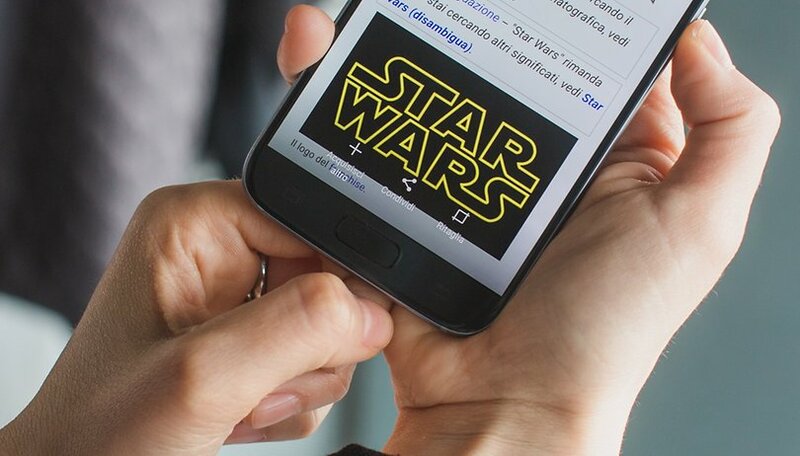 What other cool modifications have you made to your Galaxy? Tell us about them in the comments. Ok, but how do I change what the long press does? Dear Friends, we can control/move cursor (Pointer of Mouse) by keyboard only in Windows operating system. But same way how I can control/move cursor (Pointer of Mouse) by external keyboard in Android OS without mouse using. I am sorry,The title is misleading and also when you have a launcher like Nova Launcher where you can customize everything action ,you don't need a separate app just for home screen actions. Most Launchers already will let a user customize their menu buttons (the rest is up to the manufacturer of the device). the title is misleading. you aren't customizing your home button action, you're changing the double tap or long press action. when are we going to get the ability to change the actual home button to something we actually use and better yet do away with the home screen entirely? it's inefficient. Screen buttons hide quite well in Android. It's certainly not a problem I've had with buttons interfering with games. My home button on my great Samsung Galaxy S5 is now mostly redundant as I use a great app called floating Toucher, it's a super charged version of the Samsung app "Toolbox". It allows me to lock the screen, flip between regular used apps and quick settings and has a home screen button. I have also changed the settings to allow "Air Wake up" settings - Device - accessibility - dexterity. This allows you to wake up my S5 by waving my hand over the phone. I only use the home button on rare occasions that the light sensor fails or microphone doesn't pick up Google now request. Though now I can set up the home button im going to have to play around see if it's time to start using it again. Android phone makers need to abandon the lame ideas of apple and adopt the smooth slick screen of what Android itself is designed for. On screen buttons are much better than the lame and outdated home button concept. It's sad that such an article is pertinent to Android at the start of 2016.